This hot paste is a staple in Korean cooking and a main ingredient in this sauce. Serve this sauce in squeeze bottles for convenient dispensing. They store compacting in your fridge door. These bottles have attached lids, so no worries about losing them. This gochujang sauce is a popular condiment for Korean tacos, sandwiches, bulgogi, rice bowls and more. 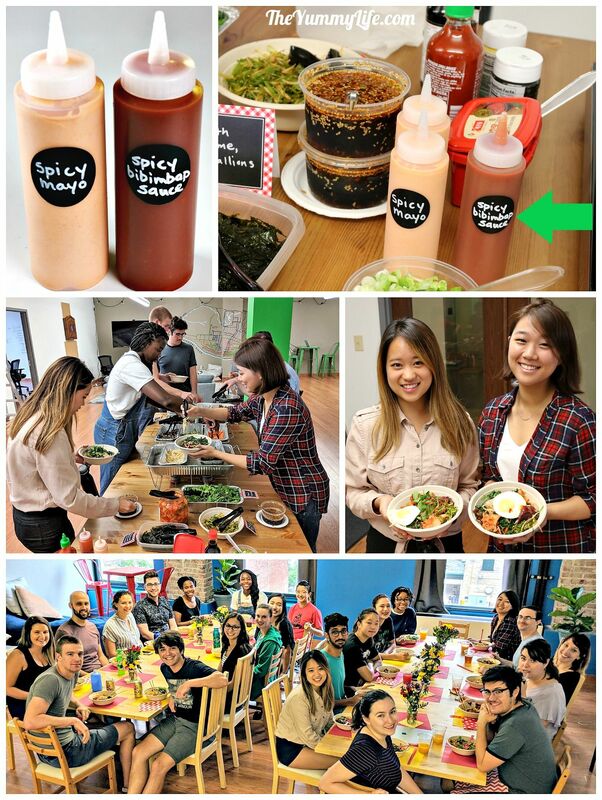 This mildy spicy sauce is a condiment for Bibimbap and other Korean dishes. The primary ingredient is gochujang (or kochujang), a Korean red pepper paste that is a staple in Korean cooking. Whisk ingredients together until combined. Cover and refrigerate for up to 2 weeks. Leftovers may be frozen. 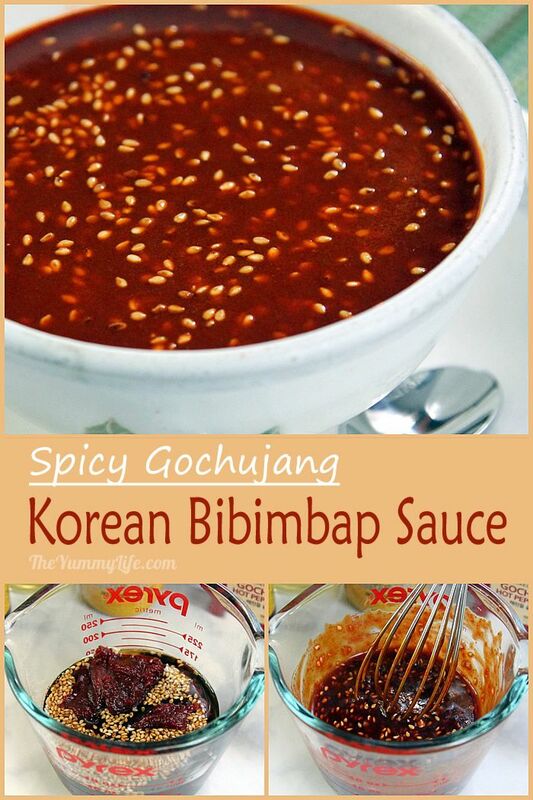 Use sauce as a condiment for Bibimbap and other Korean dishes. Serve in a small bowl or a condiment squeeze bottle. If you've been to a Korean restaurant, chances are this sauce was on the table. I think of it as a Korean sriracha sauce. It makes almost every Korean dish better. It's spicy, but not over-the-top spicy. The main ingredient is gochujang (or kochujang) fermented red pepper paste, a staple in Korean cooking. This only takes a couple of minutes to make. It's simply a matter of whisking together the ingredients, and it's ready to serve. Combine the ingredients in a small bowl, whisk them together, and refrigerate. I've seen this sauce made both with and without the added sesame seeds--it's good either way. 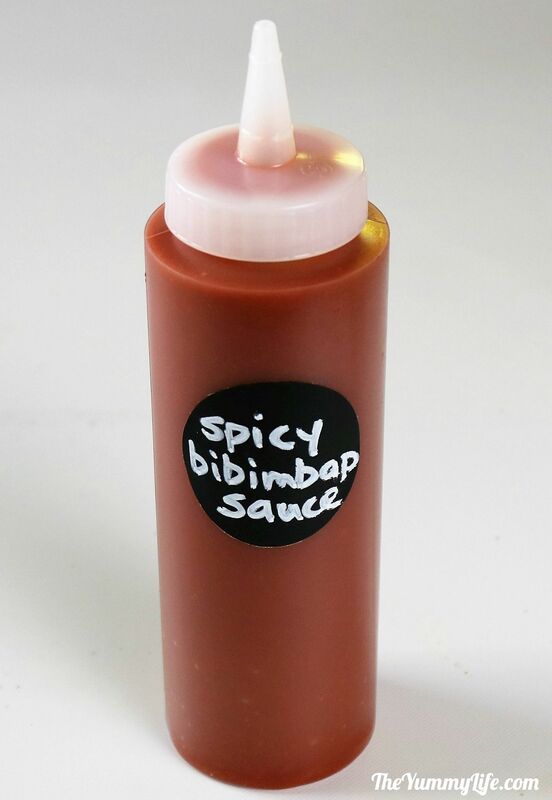 Korean restaurants often serve this sauce in a condiment squeeze bottle for convenient dispensing at the table. The sauce will keep for at least 2 weeks, and the bottle will fit in your fridge door with other condiments. 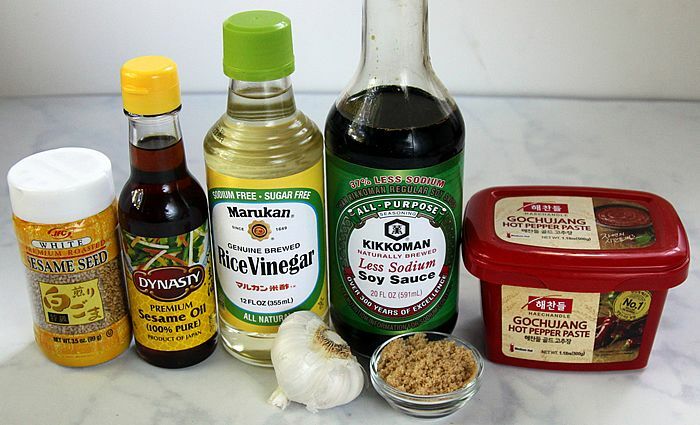 (NOTE: If you're using a condiment bottle, omit the sesame seeds and finely mince the garlic--otherwise they will clog the opening in the lid.) I labeled this bottle for easy identification on a buffet table. Perfect for Korean Bibimbap and noodle bowls. I periodically prepare lunch for the hungry crew at my sons' company Less Annoying CRM located in downtown St. Louis. This Bibimbap Sauce was among the condiments included on a make-your-own Korean rice or noodle bowl buffet. I served it along with homemade Spicy Mayo Sauce, Everyday Korean Sauce, and store bought Sriracha and Gochujang (Korean chili paste). This easy, tasty condiment is a must with any Korean meal. 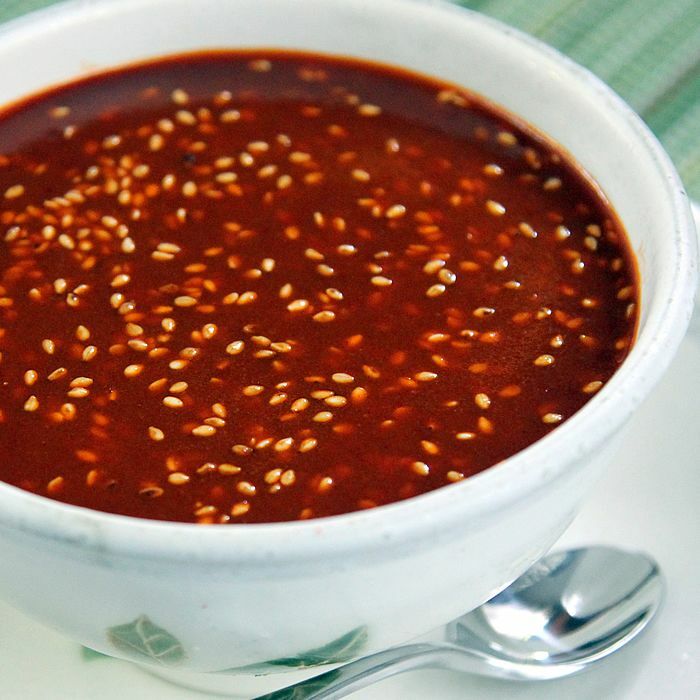 This mildy spicy sauce is a condiment for Korean tacos, bibimbap rice bowls, and other Korean dishes. The primary ingredient is gochujang (or kochujang), a Korean red pepper paste that is a staple in Korean cooking.